Doc is thorough, personable, and has a sense of humor... One of the best doctors I've seen in my life. Officeis a bit tight and hectic, but it works. Doc is thorough, personable, and has a sense of humor... One of the best doctors I've seen in my life. Office is a bit tight and hectic, but it works. send a patient to see him for Medical Pre-Op clearance, Dr. Fuchs managed to clear the patient the same day, runall the recessery test( stress test, 2d echo..etc) really impressive! Superb Doctor! send a patient to see him for Medical Pre-Op clearance, Dr. Fuchs managed to clear the patient the same day, run all the recessery test( stress test, 2d echo..etc) really impressive!Superb Doctor! 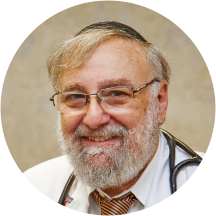 Dr. Michael Fuchs, MD provides cardiology services in Brooklyn, NY. As cardiologist, Dr. Fuchs is certified to diagnose and treat disorders of the circulatory system and the cardiovascular system — the heart, arteries and veins. Dr. Fuchs earned his medical degree at SUNY Downstate Medical Cente, completed his residency in internal medicine and fellowship in cardiovascular disease at Maimonides Medical Center. With decades of experience in providing quality patient care, Dr. Fuchs is accepting new patients at his private practice in Borough Park. Awful. The doctor is very condescending to patients and spends very little time with the patient. This doctor is an extremely arrogant man. First visit. Dr. Fuchs is very kind, gentle and thorough and goes out of his way to ask questions and offer insights. He seems to know a lot - as one would hope! But he's also quite intuitive in his questionsand observations. All of the staff were kind and very professional as well. Nothing they did seemed perfunctory. Will definitely be going back, he is a wonderful dr. And very knowledgeable.... really great staff. Most of the women that work there are very good, but Dr. Fuchs is not. I think that it might be that he overbooks; that might be part of the problem. He's biting off more than he can chew. The waitingroom is packed as can be, and it's usually a very long wait. On top of that, he's a cardiologist AND a internist, and I didn't like that I saw him for both. He's being forgetful. He went well over a year without giving me a stress test. That's not a good sign for a cardiologist, especially for someone who had a massive heart attack and has a stent in his L.A.D. artery, where there had been more than 95 percent blockage. That is the case with me. He doesn't seem to take things like that, which are very very serious, particularly seriously. He is also very moody; one time, he's kind of nice; the next time, he's kind of sarcastic. I'm tired of his unpredictable mood swings. I've noticed that he's gone downhill during the time that he's been my cardiologist and internist, which has been about three years. At my first appointment, he seemed like a real nice guy with a great sense of humor, but the last few times, that doesn't seem to be the case. Also, just as previous patients or ex-patients have written, he hardly is in the room with you for more than a minute or so. This didn't used to be the case. He's become very arrogant, and I don't care for that type of personality. He simply has too many patients. As I said, most of the gals that work for him are nice, but I haven't found the doctor himself to be nice lately. This is why I'm discontinuing going to him. And the fact that, as a cardiologist, he hasn't given me a stress test in a year and a half is kind of shocking. No more; I've had enough of him. As a cardiologist, he is on the money, as a PCP, not so much. He has never examined me once. I had to beg for an x-ray. He suggests many tests that he wants to do, and never does them. It's very frustrating. Been to a million doctors, and no one did what he did! He was very professional and helpful. Dr Fuchs and staff were very friendly and professional. They were able to accommodate our last minute request and were very patient with us. Highly recommend! He made me comfortable when I was feeling major anxiety about taking a stress test. He took time to talk with me and I appreciated his kindness. The girl who was in the room with him was very nice too. Highly recommended. Very nice people. They even babysitted my toddler. Dr. Fuchs and his staff were thorough, friendly, and helpful! I sat at that medical office for over an hour, before someone even noticed me. The first thing I did was put my name on the list, but why was people coming after me, being called in before me? The suiteonly had two doctors, and one of them was out. It was cold in there, one of the receptionist isn't bedside mannered at all, it smelled bad. I was just annoyed. The doctor is good, but I would only see him again if he was in a different office, with a different atmosphere. I feel like I wasted my time. The doctor initially gawked at my story of a previous vertigo attack and proceeded to give me a standard examination loosely tied together with an anti vertigo prescription. I saw the doctor for a total of 5 minutes with 99% of the work done by his nurses. Very friendly, helped me feel comfortable, very informative and clear. Nice, easy going and pleasant. He is a wonderful caring and excellent doctor. Very happy with my Decision to go to him. He is an amazing doctor. Thank you ZocDoc for making it easy to make the appointment. Good bedside manner. Very good examination and recommendations. Dr. Fuchs is phenomenal in every aspect of his practice. He was extremely helpful in addressing my concerns. He was very thorough with all procedures, and most of all gave me an extreme boost of confidence under his care. in Hisoffice staff was extremely polite and helpful. The technicians were outstanding and made me feel extremely comfortable. I would only recommend Dr. Fuchs to anyone seeking a very professional Cardiologist. Thank you very much for everything..